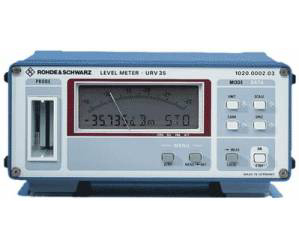 URV35 is a voltmeter and power meter for versatile applications in service and production as well as for precision measurements in RF and microwave labs. A large variety of probes and sensors allows voltage measurements up to 3 GHz and power measurements up to 40 GHz. URV35 is menu-controlled – a feature that is normally found with larger instruments only.